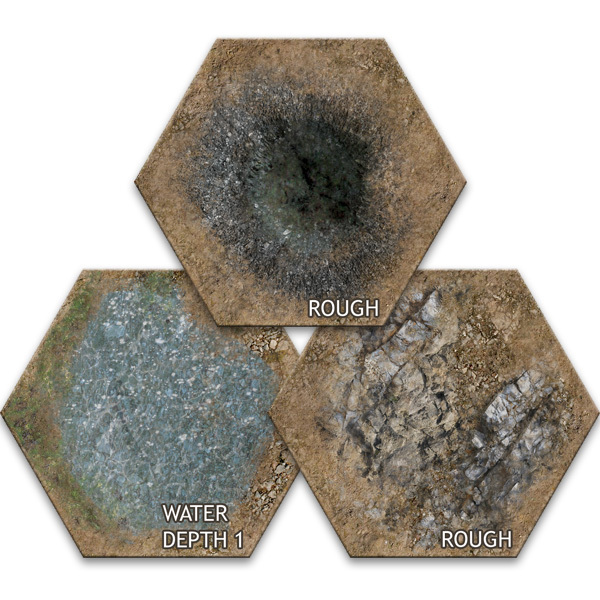 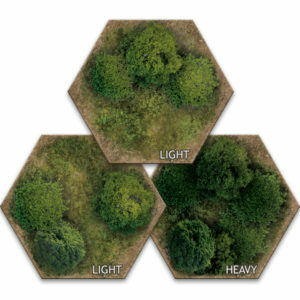 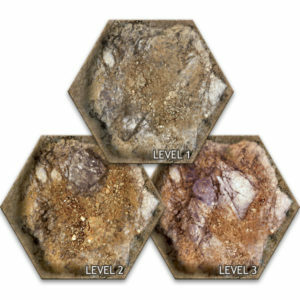 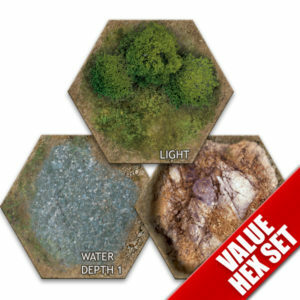 Hex grid, foam-based hex terrain elements with a satin coating. 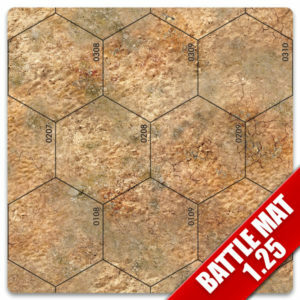 Hight color quality and high-quality material that is water, crush and folding resistant with a non-slip surface. 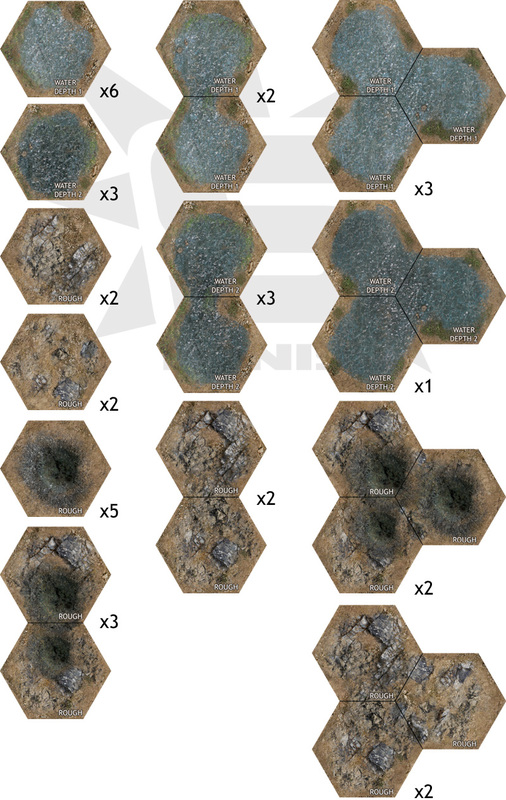 36 pieces total, in 3 tile sizes.